If you’ll be putting your home on the market soon, you’ve probably already thought about the interior staging tricks you’ll employ to maximize your home’s value and potential. But don’t forget about the curb appeal! Failing to give proper attention to the outside of your home can leave potential buyers with a bad impression, affecting the way they view a perfectly staged interior. 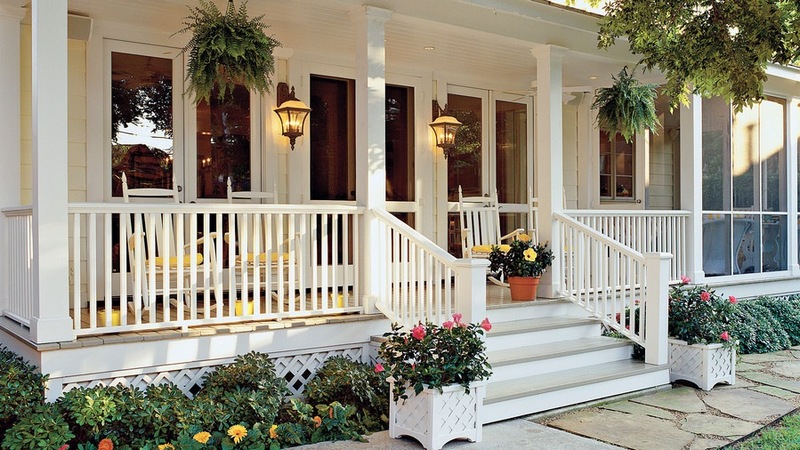 Likewise, an impressive backyard or deck is a great way to leave a positive parting impression. Follow these tips to complete your home staging process! Pressure wash all of your home’s exterior surfaces, including siding, concrete, fences, and decks. You may want to have this done professionally – too strong a water stream can damage vinyl and paint. Take a close look at your patio furniture as well, whether on your front porch or on a back deck or veranda. If more than a quick cleaning is needed, either replace or remove old or worn out pieces. Make your home instantly more welcoming with a few additions. A seasonally appropriate wreath and a new doormat are fast and easy ways to add to your entryway charm. Plants are also a great way to liven things up. Frame your front door with a matching set of potted plants, either a colorful flowering variety or a well maintained topiary. Or, create a botanical vignette with plants of various heights in a corner of your front porch or entryway. Lawns that are on the market should be mowed weekly, including edging. Bushes and flowerbeds should be pruned and weeded weekly as well, and everything should be watered regularly. While these big jobs are important, don’t forget about the smaller details in your yard. Make sure all kids bikes and toys are stored out of view, and tuck trash cans discreetly away. Keep your garden hose coiled neatly and if possible, stored in a hose bin or in your garage. Check the lighting fixtures, house number, doorknobs and knockers to see if they could benefit from a shiny new upgrade. Small changes make the front of your home stand out and will let prospective buyers know that your house has been well-taken care of, down to even the minor details. If you have the option of another place to park your vehicles, leave them out of the driveway and garage. Cars parked in a driveway obstruct the view of a house and make it appear smaller. The same is true in your garage – having a car or two taking up space will leave buyers unable to picture their own cars and stored items, and may make them question if your garage is large enough for their needs. Politely ask your neighbors if you can use their driveway temporarily, or if you live close enough to your neighborhood’s common areas, inquire if leaving cars there is an option. We would love to talk to you about your personal home selling needs. Contact one of our expert agents today!